Thank you for contacting us! Your message was sucessfully sent to achel.org. You will hear back from us in the next few days. BeginningHomeschooling.com is a service of the National Alliance of Christian Home Education Leadership (the Alliance). The Alliance is a non-profit organization founded in 2002 to support Christian statewide home education organizations. The Alliance represents 48 affiliate organizations from 45 states, Canada, and Mexico, and has over 1,000 years of cumulative homeschooling experience. Alliance organizations have quietly served homeschooling communities across the country for many years, bringing wonderful conferences to their states. The proceeds of these non-profit conferences are used to serve the people in their locales after the conferences are over. Funds are used to help local homeschool groups, assist with legislative efforts to keep home education alive and well, and support the homeschooling community with viable information about home education in their local area and beyond. The fast-paced growth of homeschooling has brought the advent of commercial homeschool conventions. These commercial conferences have had an adverse effect on many Christian state homeschool organizations. 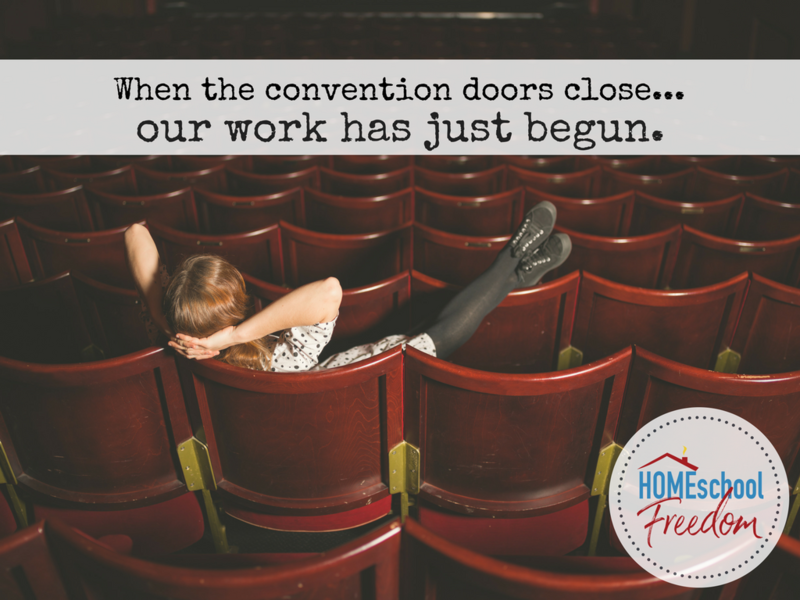 When a commercial convention is over the commercial conference organizers leave, but when the Christian state organization's conference ends, their service to homeschoolers is just beginning. Without the support of the homeschooling community in their states, there is risk that the state organization's ministry to homeschoolers will diminish or be lost altogether. As you choose a conference to explore homeschooling and purchase curriculum, we hope you will consider the long-range questions of homeschooling and support the non-profit, distinctively Christian conferences associated with Alliance organizations. Alliance conferences seek to honor their Christian beliefs by having vendors and speakers that reflect those convictions. Alliance conference organizers see the call to Christian education as one of their highest values. While there is a great deal of variety in the vendor hall, most choices are Christian in orientation. Christian state organizations have served the homeschooling community as a collective group for over 30 years. Together, they support homeschool freedom, encourage families, and educate the homeschooling community and others about one of the best-known secrets in the realm of educating and discipling children at home.